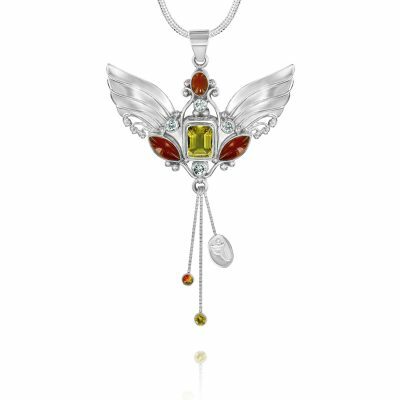 The lovely Kwan Yin Goddess necklace is a favorite amongst those who appreciate the qualities of the universally loved Kwan Yin. 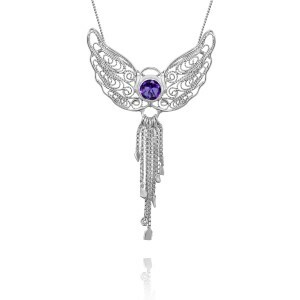 At the heart of the pendant is an amethyst crystal signifying her deeply calming and reassuring message of compassion. 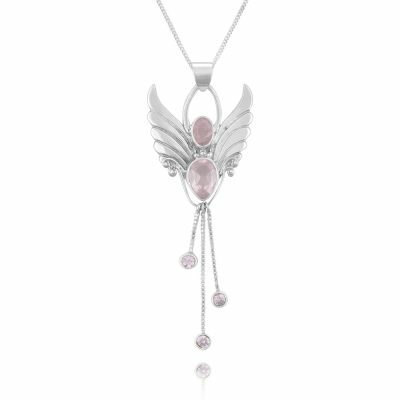 Moonstone crystals alongside the central amethyst represent her nurturing qualities, her connection with the intuitive feminine and all the cycles of the cosmic feminine. 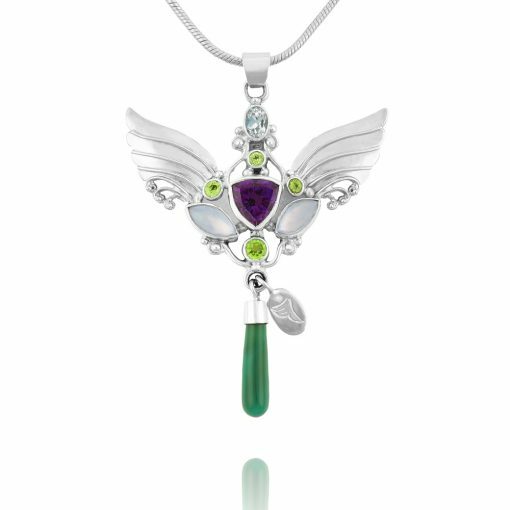 Energies of the pendant are held together by 4 peridot crystals, to represent the eternally refreshing and regenerating nature of the Goddess. The Aquamarine crystal at the head assists angelic connection, and the long green pendulum draws the entire energy of the Goddess down to Earth in all her majesty. 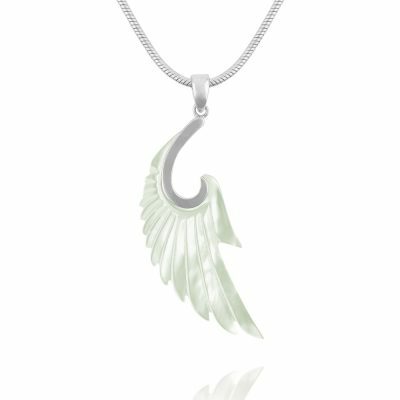 Silver wings remind us of the ubiquitous nature of the Goddess. Pendant size 5cm x 7cm. From the moment I touched this amazing piece I knew it was for me. Thank you for your exquisite creations. 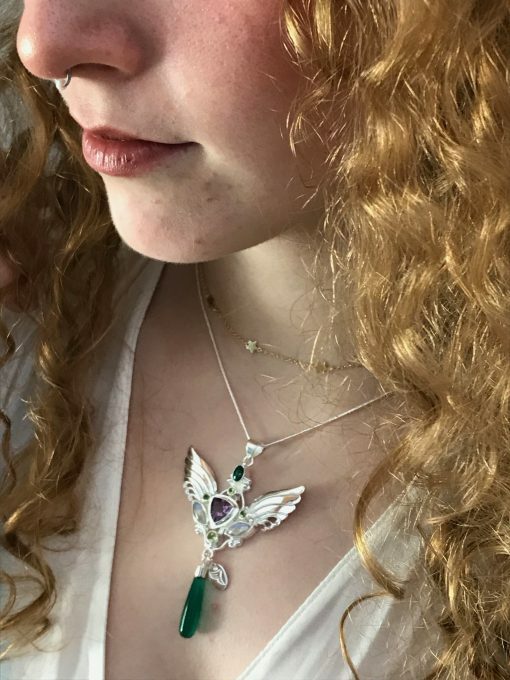 This is my second Angel necklace, I love them, they beautifully made. I could feel the lovely calm energy as I removed it from it’s pouch.